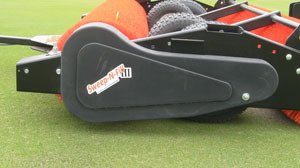 Sweep-N-Fill III is an innovative product that greatly reduces the time you spend cleaning a green after aeration. 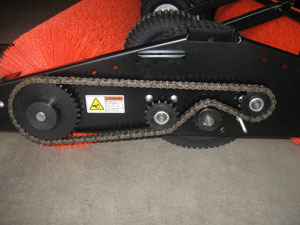 Sweep-N-Fill III saves money by eliminating the labor intensive process of backfilling aerated greens. 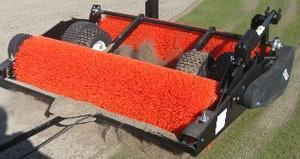 Developed by a superintendent, the Sweep-N-Fill III ground driven unit mimics push broom action which eliminates sand bridging of aerified holes. 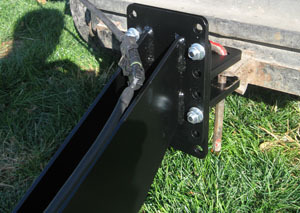 Lifts lateral shoots so effectively, after 2 or 3 groomings grain is removed from putting surfaces, leaving a perfectly groomed appearance.